Even in this age of air travel, railroads hold a certain magical appeal. These​ card and board games, several of which focus on the business aspect of railroads, are our picks for the best train games. Ticket to Ride, along with its related expansions and follow-ups, is an absolutely top-notch game. It can be played in less than an hour and provides a lot of depth without being complicated. Players compete to build railroad lines across the United States, trying to connect specific cities while preventing other players from reaching their goals. Winning requires a variety of smart strategic and tactical choices, giving Ticket to Ride considerable replay value. This is a terrific family strategy game. In these two closely related games, players compete to build railroads and deliver goods via a network of tracks and stations that develops as the game progresses. Both Steam: Rails to Riches (2009) and Age of Steam (originally released in 2002) are heavyweight strategy games, and both are excellent choices for serious gamers. If you enjoy deep games that reward repeated play, we strongly recommend either Steam or Age of Steam. A third related game, also recommended, is Railroad Tycoon (2005), published by Eagle Games. For 3 to 6 players, ages 12 and up. Designed by Martin Wallace, published by Mayfair Games (Steam) and Eagle Games (Age of Steam). A remake of Moon's earlier game Airlines, Union Pacific puts players in the role of railroad tycoons as they try to acquire stock in the best railroad companies. Players chose between expanding the companies or playing stock from their hand. But you must remember that when scoring takes place, only played stock counts. For 2 to 6 players, ages 12 and up. Designed by Alan R. Moon, published by Rio Grande Games. In this railroad board game, players are challenged to build their own railroad lines. Doing so costs a lot of money, thus intelligent borrowing is one of the keys to victory. Volldampf is a cousin of Age of Steam and Steam. For 2 to 6 players, ages 12 and up. Designed by Martin Wallace, published by Winsome Games / TM Spiele. Many railroad board games are set in America; this one, designed by Reiner Knizia, is set in England. The game starts with seven companies and inevitably ends with just one. The winner is the player who earned the most money through the shrewd buying and selling of stock. For 2 to 4 players, ages 12 and up. Designed by Reiner Knizia, published by Rio Grande Games. Unlike most railroad games, TransAmerica is light and quick to play. Each player must connect five U.S. cities with railroad tracks, placing one or two rails at each turn (depending on the terrain). There's some debate about how much strategy is involved in TransAmerica, but it's interesting enough to have won the 2002 Spiel des Jahres, Germany's award for Family Game of the Year. TransEuropa, a sequel, uses essentially the same game system on a map of Europe. For 2 to 6 players, ages 8 and up. Designed by Franz-Benno Delonge, published by Winning Moves. Make sure you have a large table before starting this game as the trains tend to get pretty long. You earn points for building trains with the same cars, or for a train in which every car is different. At the beginning of the game, having cars in your holding yard is good; by the end of the game, it's bad. For 2 to 5 players, ages 10 and up. Designed by Alan R. Moon, published by Mayfair Games. Originally published by Winsome Games as Wabash Cannonball, Chicago Express is set on the East Coast and in the Midwest United States. Various railroads (the B&O, C&O, Pennsylvania, and New York Central) compete to become the most profitable. For 2 to 6 players, ages 12 and up. Designed by Harry Wu, published by Queen Games. This game, in which players try to earn money by buying and selling stock in various railroad companies, is much more focused on the stock elements than on the railroad theme. The game features what has been described as "an extremely vicious robber baron oriented stock market." For 2 to 6 players, ages 14 and up. Designed by Francis Tresham, published by Avalon Hill. 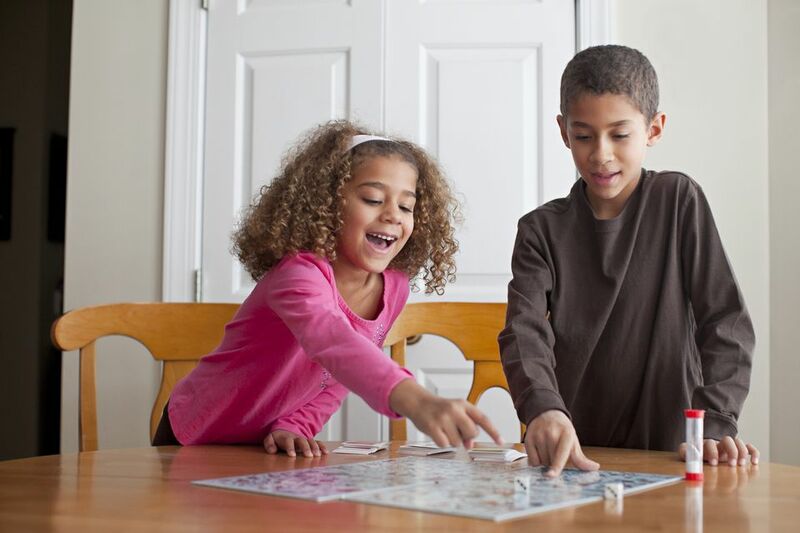 In this light family-friendly train game, players put square tiles on the board to form rail lines, trying to create lines that are as long as possible to connect their trains to a station. Along the way, players may connect some of their opponents' lines, making them as short as possible. San Francisco Cable Car (first published as Metro) won a Mensa Select Award in 2001. For 2 to 6 players, ages 8 and up. Designed by Dirk Henn, published by Queen Games.